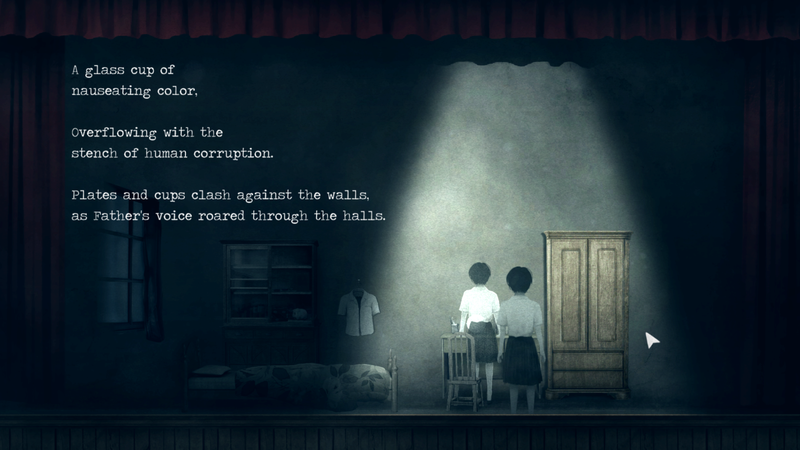 In one ordinary black Friday on January 13, 2017, our debut title 2D psychological horror game Detention was launched on Steam. 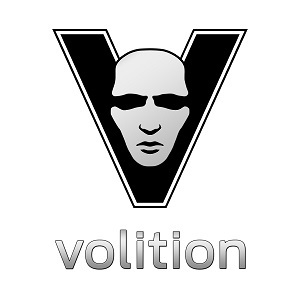 Upon the release of the game, we received overwhelming attention from the media and players. People were curious. 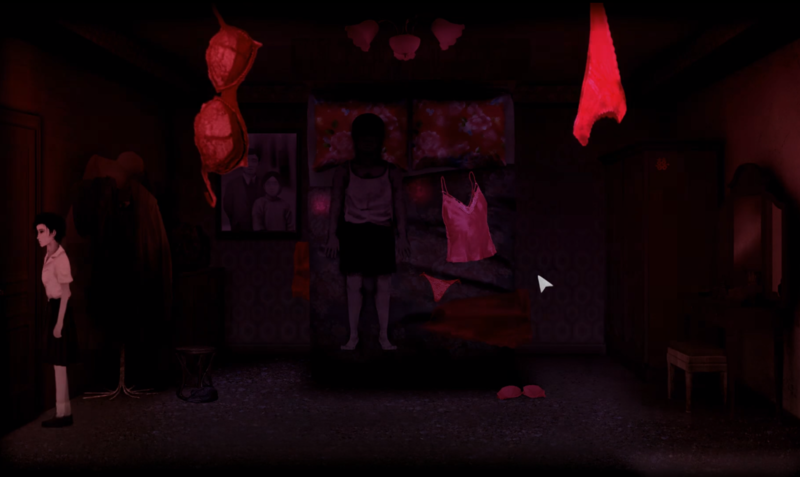 The local media wondered what triggered us to created a horror game like this? The foreign media, on the other hand, were intrigued by the Taiwanese folklore in the game. A week after, 6 of us sat in the office temporarily drifting away from all the chaos. We sat still and wondered, what just happened? Never did we know that the game will draw such response. After all, we were just a group of developers who enjoy making games. Thinking back, it took lots of effort and failure to make Detention. But we feel that this is a story worth sharing on Gamasutra. And to begin with, it all started years ago. 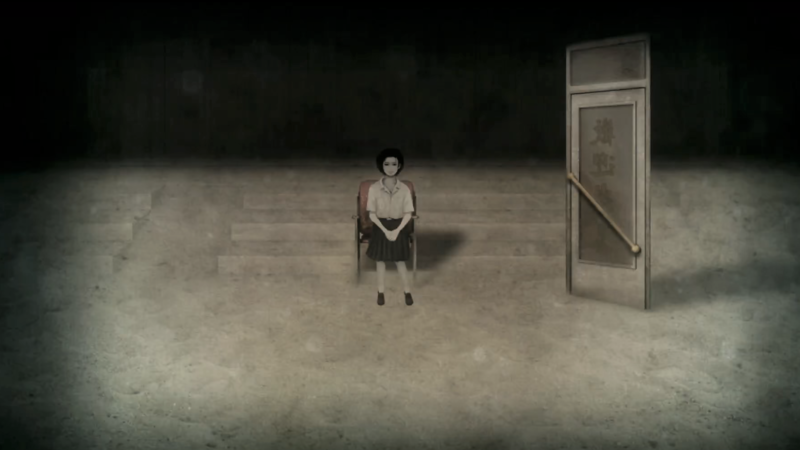 Detention is the brainchild of Coffee Yao. If you know Coffee, he is a man that enjoys late night walk and somewhat a bit nostalgic. Sometimes, memories of the 1990s flow back to him like a wave. The incense smell from the Taoist temple, the Taiwanese movies in the New Wave era, the taste of the street food, the sound and visuals of the glove puppetry show, and other stuff he did as a student back then. It was a time when Taiwanese culture blossomed. Growing up as a gamer, he played plenty of Japanese cultural-centred games with characters like Ninja or Samurai. However, there had yet been a game that centres around Taiwanese culture. Feeling an urge to show the Taiwanese ambient to the world, he thought, “Why not make a game with Taiwanese folk culture?” By that time, Coffee hasn’t had a solid plan nor enough skills to initiate the project, but this idea has since planted in his mind. 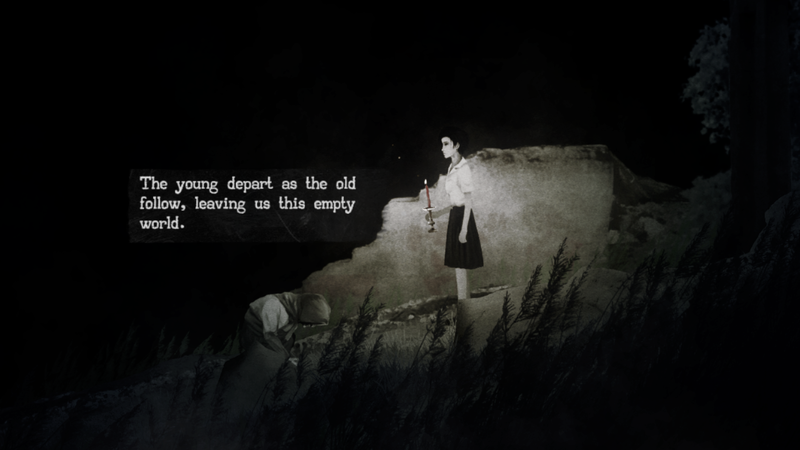 Three years later in 2014, he finally started making the prototype of Detention as a sole developer. Then one thing came to another, 6 of us got connected and started working together to pull off Detention. While developing the game, a question kept haunting us. “How will the Western players take it? Will they be confusing with a game based upon Taiwanese/Eastern Asian culture?” We aimed at the globe, so the understanding and acceptance from the Western players are crucial. The localization is the key to us, and in our case, we paid extra attention to the level design and translation. To successfully transplant the Eastern Asian culture into the game, Detention underwent 4 times of major adjustments throughout the course of 2-year development. The adjustments almost reshaped the original setting and made everyone in the team insane. Yet, the response from the fans let us realize every adjustment that we made for the localization was worthy. And in the following, let me share our struggles and experiences to you. First thing first, since one of the crucial thing was to make a game that everyone would enjoy, even for the non-native Chinese speakers. In order to achieve this, we decide to flatten the cultural element. There is a reason behind this. At an early development stage, we were having arguments about the cultural understanding we input in the puzzle design. Each of us has different opinions about the applied religion ritual, things like whether to burn the incense or spirit money first. This argument let us realize that, even if 6 of us share the same cultural background, there are still agreements and disagreements toward the cultural understanding. When there are already disputes among us, how can we even get Western players to understand our culture? We don’t want to let the cultural barrier be in the way of the storytelling and gameplay. As we are well aware that it is unlikely for the players to understand Taiwanese culture within a 3-5 hours gameplay, and to clarify, cultural understanding is not our intention as well, we just want to make a game with Taiwanese elements. Therefore, we followed the golden rule “less is more,” and made the choice not to apply the traditional cultural rules to the puzzle design, making them more about logical thinking instead. Additionally, by transferring the cultural elements to different symbols, and sort of hiding them in the game setting, we managed to transform these symbols as the tools for the puzzles, pieces of note, background music, the setting, and etc. Eventually, these visual and audio symbols became the reinforcers to lead the narration and create the ambient in the game. If the players like the atmosphere that we created, I believe that some of them will look up the cultural and historical background on their own once they tried the game. The visual design of the costume and architecture help build up the atmosphere of the 1960s Taiwan. Alright, enough with the theory, let’s dig more into the actual examples! 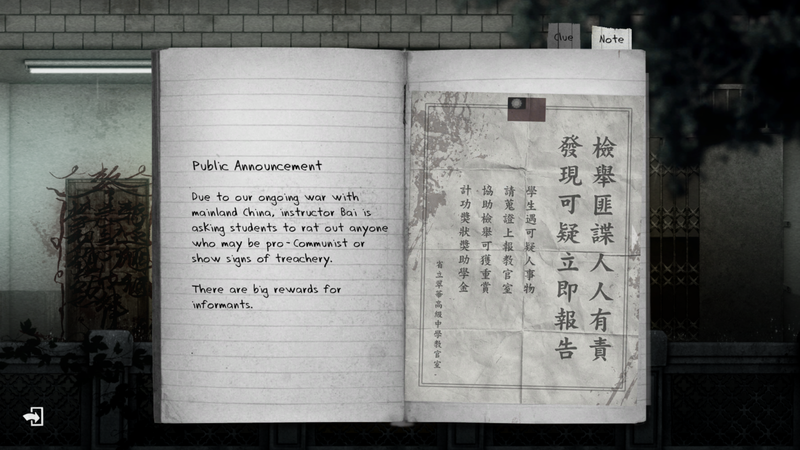 Normally, the notebook is constantly seen as a tool in various kinds of games, and it is not an exception for Detention. In Detention, we created the tool "journal" to keep track of the game progress, to help players reach the next level, and most importantly, to illustrate cultural background. 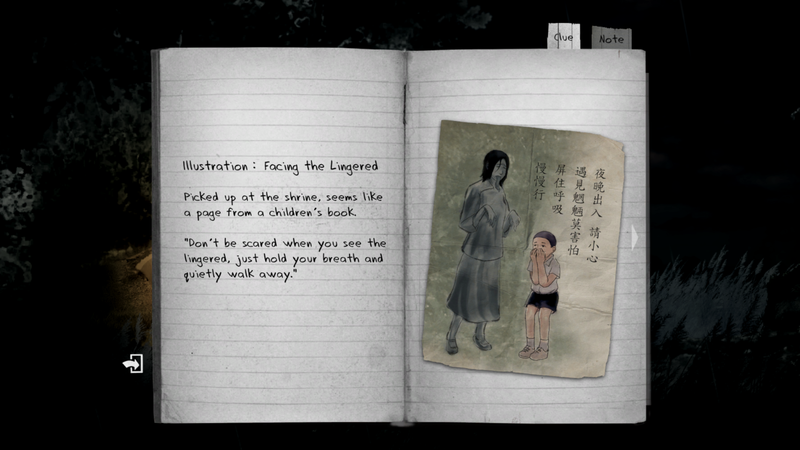 The journal serves as two functions in the game: the cues and notes. 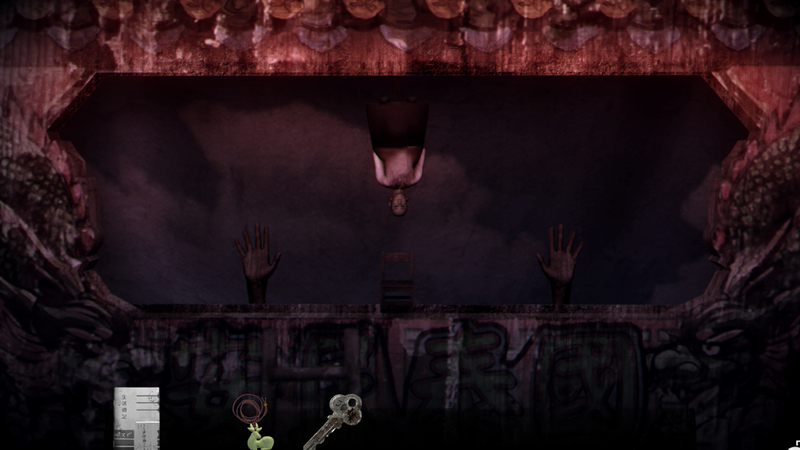 Throughout the gameplay, players will come across pieces after pieces of notes. 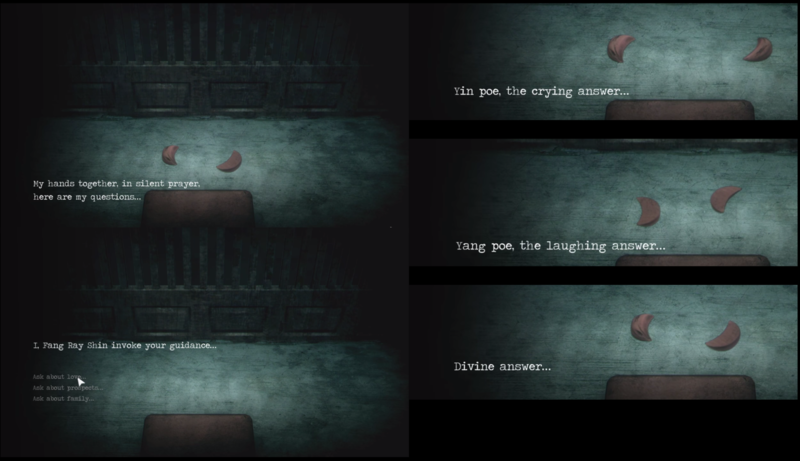 Some of them are cues that assist players to survive or solve the puzzles, and others are notes that help shape the general cultural and storytelling of the game. 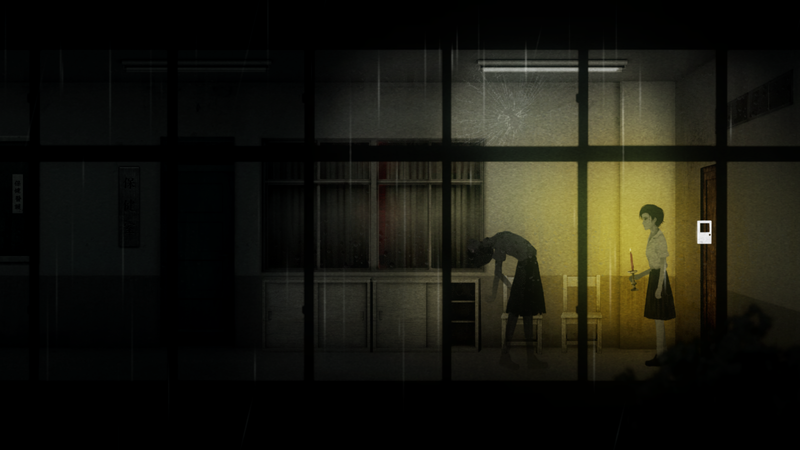 In the beginning, we set up our mind to make a horror game. Just like every game that falls into this genre, it always come with some jump scare scenes or terrifying monsters. 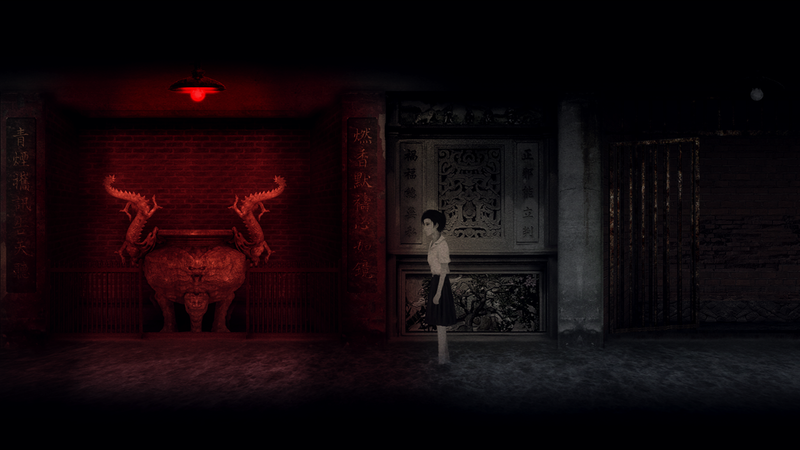 This time, we asked ourselves the question, "How can we combine culture with horror game mechanism?" It got us to dig back to the East Asian folklore and mythology in which monsters and evil spirits are common and well descriptive, making it easier for us to adapt them into the game mechanism. The man-eating skeleton figure, the Lingered(魍魎), is a well-known ghost spirit appearing in numerous Asian folktales. We embodies the Lingered’s characteristics in the game as one of the attackers that player encounters. To give additional touch to the game mechanism, 2 survival skills, originating from Taiwanese folk culture, are added. 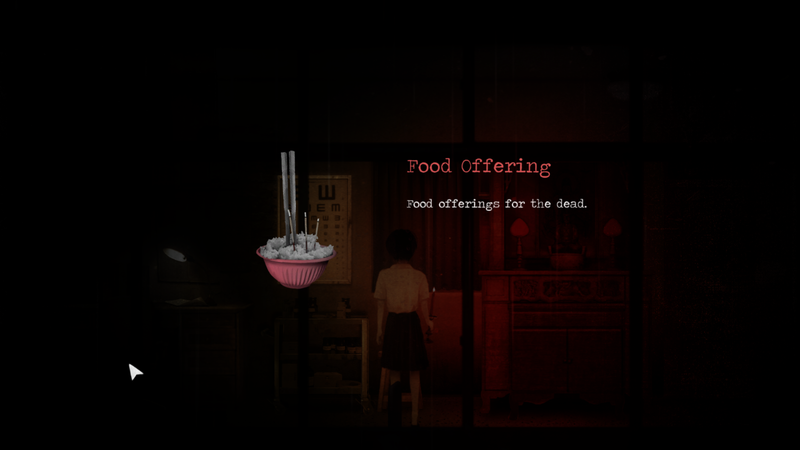 Traditionally, food offerings is served for the dead as farewell. In Detention, it helps distract the Lingered from chasing you. In East Asian folklore, you can fake your existence in front of the zombie(jiangshi) by holding the breath. Likewise, to escape from the Lingered, the player must do the same and silently walk away. 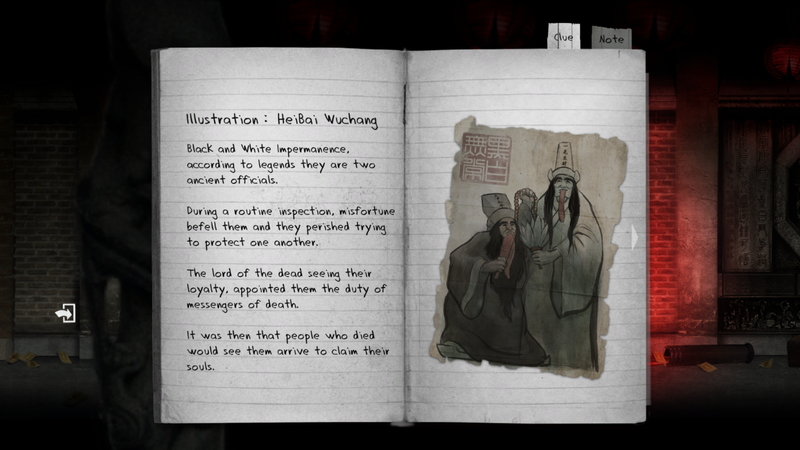 HeiBai Wuchang(黑白無常) are the death messengers in the local belief. Legend says that each of them holds a feathered fan and wooden token in hand, and these items become the tools to solve the puzzle, holding the key for players to reach the next level. Rituals are a part of the culture. To add ritual practice to game narration, we intended to transfer it to in-game items. At first, we thought that it shall be an easy task, and we could simply follow suit from our past experience, making a depictive illustration to explain it all should be enough. But we were completely wrong. Neglecting the complexity of the ritual was a big mistake. Nonetheless, we managed to learn from the mistakes we took, and correct them accordingly. For the Taoism praying process, there are rigid rules and steps to follow. Initially, we came up with this illustration to depict the religion ritual. Yet, when we did the demo testing, we found out that such illustration was not effective enough. The literatural description was somewhat too complicated. There should be something better than this. Thus, we did a bit of brainstorming, and voila. First, keeping the golden rule “less is more” in mind, we got rid of our original plan to showcase the whole ritual. 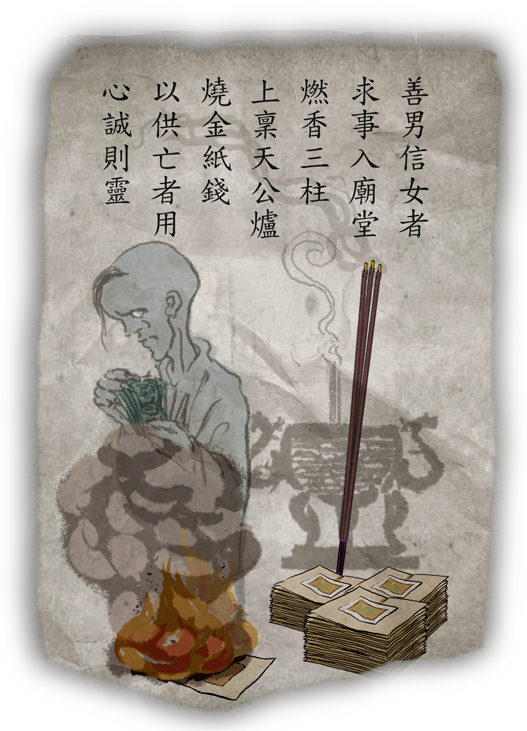 Alternately, we only focused on a part of the ritual - the representation of the spirit money burning process, and transformed it into the game narration. In the Taoist temple, the wooden pieces ying yang poe(擲筊) can often be viewed as a tool to ask advice from the god. For Detention, we utilized ying yang poe as the plot accelerator to pinpoint Ray’s concern towards love, prospects and family. To give a bit of idea how ying yang poe works, here was what we did at first. Just like the previous example, there were lots of wording in it. When presenting this illustration to a Taiwanese friend, it took him a while to understand the whole saying, and that’s when we realized changes must be made. Again, the same “less is more” technique is applied here. The literature description was minimized to the least and replaced by the interactive visual graphics. The cultural cognitive difference is the constant dilemma for localization. From the beginning of the game development, we know that we would be facing two groups of players. The local players who understand the culture, and the foreign players who don't. When dealing with the use of pop culture in level design, we encountered the same problem. After tons of arguments and discussions, we came to the conclusion: Cultural understanding or not, so long as the players enjoy our game and things make sense to them, it will be fine. In Detention, the electronic lo-fi music played with traditional Asian instruments is used as the cultural atmospheric creator. Apart from that, the audio element also holds the key to level design. 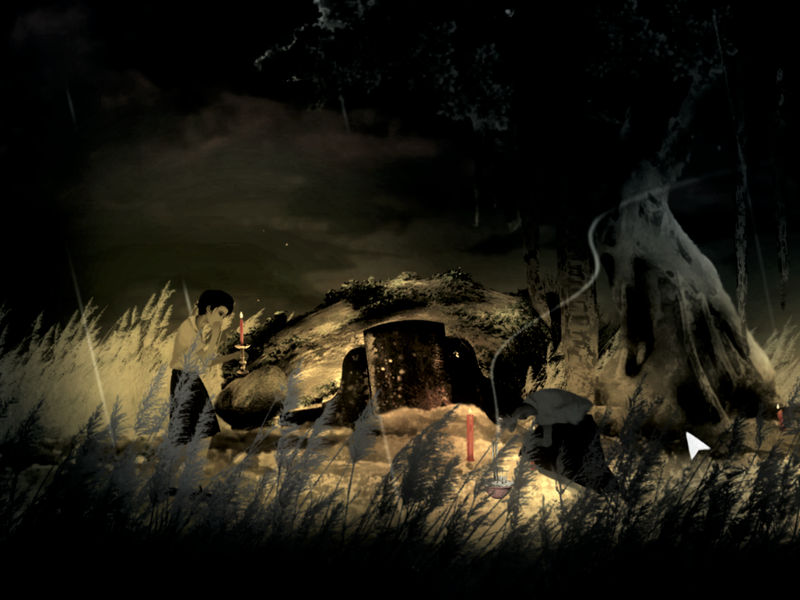 In one level that requires the player to travel to Ray’s 3 distinct past memories, we designed this radio as the transformation port, with the musical suite April Rain(四月望雨) acting as the connection for players to shift to different time and space. The 1930s April Rain is the combination of 4 widely-known Taiwanese songs during the Japanese Occupation Period, that later banned in the martial law period. 3 of the songs are employed in the radio station puzzle design. By tuning in the right radio stations, the melody of each song appears, and all of a sudden, the player is in different time zone. The first radio station's background song Bāng Chhun-hong(望春風) tells us how Ray's broken family is like. Originally, this cheerful melody is the implication of flirting. And we used it to reveal Ray father's unfaithful affair towards her mother. For the third radio station, along with the melancholic melody of the heartbroken people, it brings Ray back to the romantic memory. Yet, only the emptiness and bitter remain in the end. Each song is deliberately placed in that specific time zone to emphasize Ray’s emotion towards her family and lover. To enhance its retro feeling, we purposely applied lo-fi sound effect to the songs. While some local players might be able to recognize the songs' meanings upon hearing the familiar melodies, for the general players, on the other hand, may think that the songs are foreign and fresh. They may not know the background story of the songs, but for sure they could sense the emotions implied. To bring in this pop culture to the level design, puppets are served as the tools for puzzle solving. 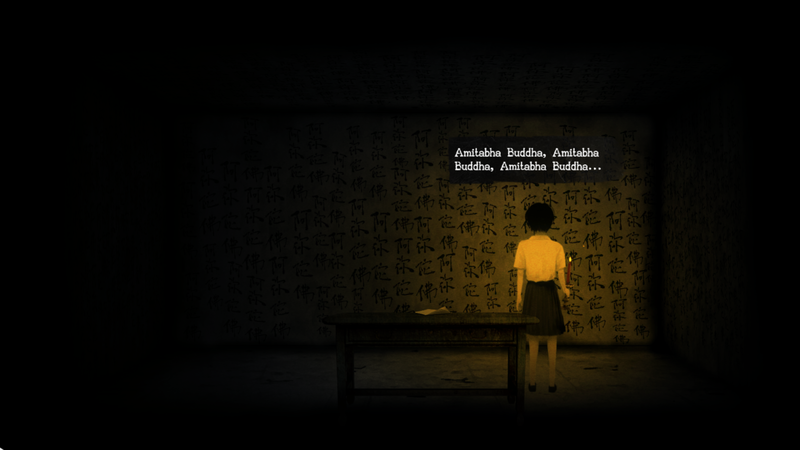 Apart from the level design dilemma, translation is yet another tricky part to deal with in the making of Detention. Once in awhile we all came across 1 or 2 games with cheesy translation that distracts you from enjoying the game. Bad translation can ruin a game, and that is certainly not what we are looking for. So let us switch the focus to translation and share our humble experience with you. For your information, to correspond with the 1960’s Taiwan, Detention’s original script is a mix of classical Chinese, modern Chinese and local dialect. The degree of difficulty to translate the script is beyond imagination. As an indie, we didn’t have much resources. For us, we couldn’t afford to have Detention translated into multiple languages. Therefore, we didn’t aim big. Rather, we focused on the translation quality. 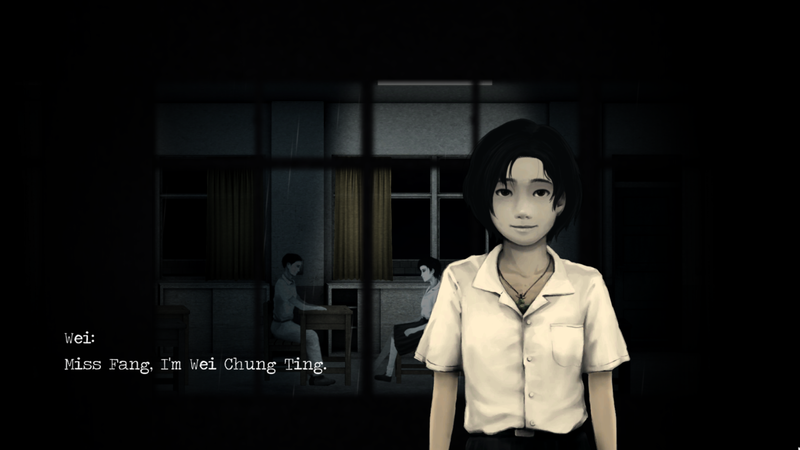 Thus, besides the original context in Chinese, English is the only localization we did for Detention. And we intended to make it work out well. Luckily, our co-founder Vincent Yang is a English-Chinese bilingual. With Vincent taking the role to examine the translation quality, and communicate with the translator, we managed to release the English version that met the readability standard and close to the original context. When translating one language to another language, one problem the translator might often encounters is that, there is no corresponding vocabulary that fits the original meaning. In the case of Detention, it is even harder to find the exact words in English. Thus, we decided not to do word-by-word translation but to focus on the atmosphere/emotions of the original script. In Detention, we created a character of an old lady that only speaks Taiwanese. Besides Chinese, Taiwanese is the most common dialect used in Taiwan. When translating her dialogue into English, our initial thought was to translate the dialogue to a specific English dialect. However, given that there are a wide variety of English dialects out there from different countries, it is relatively hard to pick up one that is universal to every player. We then considered translating it into Old English but soon found out that it was a bad idea. When the first draft came out, none of our team member including Vincent could understand. The readability was simply too bad. Finally, we came up with the thought to reflect the ambience of the original context. So, here is our final result. Though it might not be the perfect translation, by making the English dialogue poetic, at least it provides a close approximation of the original context. 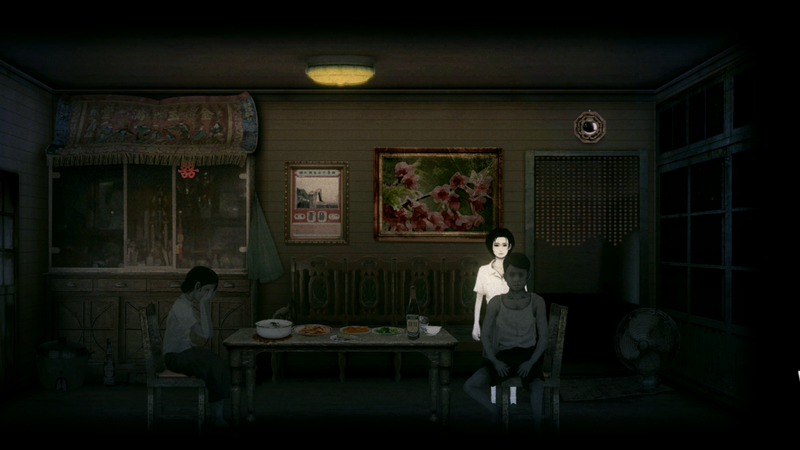 In the third chapter of the game, as it gradually shifts to story-driven, more narration is needed to describe Ray’s feelings towards her family and lover. 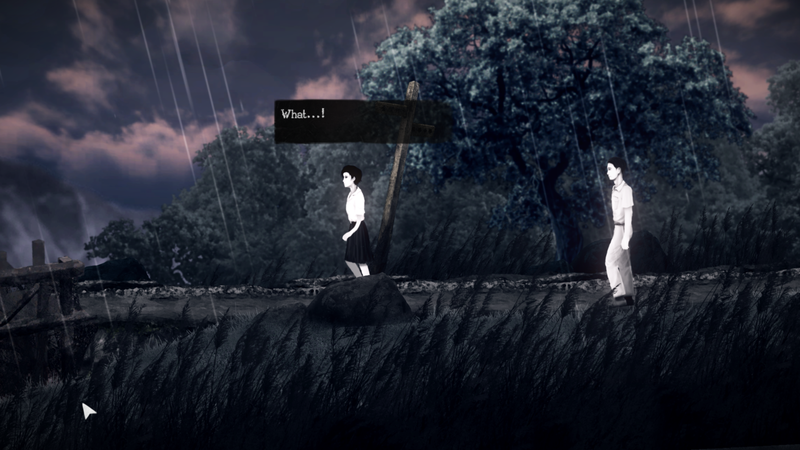 Thus, we decided to add a stage play in the gameplay. The stage play is written under the structure of modern Chinese poetry, which is relatively easy to translate compared to ancient Chinese poem. Yet, we did a bit of alternation for the English translation, adding emphasis in between lines to best connect players to Ray’s emotions. This is the play describing the alcoholism problem of Ray’s father. Here, the original context “棕色的玻璃瓶/ brown bottle” is a metaphor of alcohol. When translating into English, in order to emphasize the cause of father’s alcoholism leading to Ray’s family falling apart, we translated and replaced this part with “A glass cup of nauseating color.” Additionally, it also points out Ray’s disgust feeling towards her father’s behavior. In some cases, although the meaning of the translation is the same as the original context, it does not necessarily mean that it is a good translation. A good translation must also takes the original work’s setting and reader’s background into account. Considering Detention’s East Asian reference set in the 1960s, alternations was made in order for nowadays western players to better immerse in the game. When Wei and Ray went back to the classroom together, as a way to show respect to Ray, Wei called her by “學姊/female senior classmate”. In the Western world, schoolmates tend to call one another by the last name no matter the age difference. However, in Asian countries there are specific terms, for juniors and seniors to call each other, that cannot be found in English vocabulary. For the first try of the English translation, “學姊” is translated as “Senpai”. Though the meaning is cohesive, this term is a borrowed word from Japan, and is not commonly used in English-speaking countries. Considering it is not a word that we say on daily basis, we decided to switch the word “Senpai” to “Miss.” A much common word that carries the meaning of respect. In some scenarios, as a way to show surprise, foul language like “靠/what the heck” slip from Wei’s mouth. At first, we intended to translated the word just as its original meaning. However, on the second thought, “what the heck” is more of a modern four-letter word. Unfortunately, it didn’t match the time of Detention’s setting. So, it’s then replaced by “What...!” , by adding the puntuation, it also highlighted Wei’s astonishment in a neutral way. Case 3: Decision-making, to coin a word, use existing translation or convert into transliteration? In Detention’s original script, it contains a great deal of vocabulary deriving from Taiwanese folk culture and local religion. Some of the words can be found in English, while others don’t, leading us having no choice but to create a new word in English. But then, more problems occurred - Shall we simply convert the word to transliteration based on the pronunciation? Or coin a word by its meaning? Most of the time, we were faced with the decision-making dilemma whether to use the existing translation, adopt the transliteration or coin a word. After a period of struggle, we finally came up with a standard rule. To put ourselves in the player’s shoes, and pretend we knew nothing about Taiwanese culture. In this way, it helped us to better identify the strategy and tackle with the translation. Before we decided whether to apply the existing translation to the game, we would ask ourselves, “Is the existing translation recognized by everyone out there?” We felt that as long as the existing translation is universally understood by the public regardless of the cultural background and languages, the players won’t have problem interpreting its meaning. Take buddhist practice as example, since its basic idea is widely-known to the world, vocabulary like "amitābha” and “diamond sutra” appear in the game dialogue without any alternation. When playing through the game, the players often bump into the Lingered. As mentioned in the previous paragraph, its inspiration is a man-eater from Chinese folktale called “魍魎", or known as “Mōryō” in English. In Detention, the existing translation is abandoned and replaced by a new word we created, for we want to make an impression that can be easily remembered. Comparing to “Mōryō” that may be hard to pronounce nor remembered for most of the players, we coined the word “the Lingered,” which is catchy and showcases the feature of the man-eater lingering around the human world. Sometimes, when the word is too culturally unique, and there is not a suitable translation existing out there, nor is it easy to be depicted in a word or two, transliteration tend to be our last resolve. The feature of the transliteration is that its pronunciation is almost or exactly the same as the original word, so most of the case, it is impossible to understand the meaning of a transliteration word by reading it alone. Despite that, for words carrying specific cultural meaning that cannot be replicated in other languages, we feel that it is best to convert it into transliteration word with additional explanation as supplement. For example, for “HeiBai Wuchang,” the journal is functioned as the supplement. 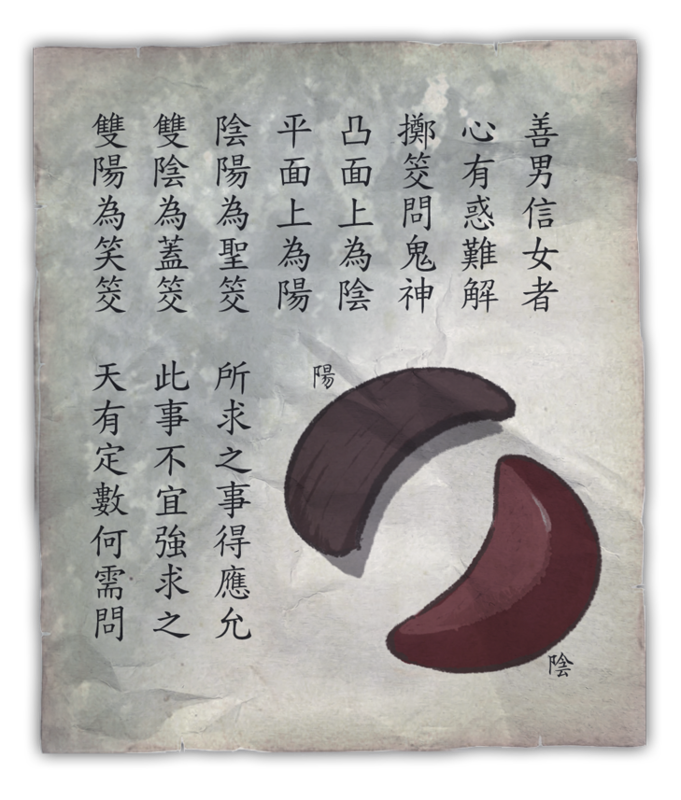 With the illustration and description about “HeiBai Wuchang”, it helps players better understand its background as the death messengers in Chinese local belief. 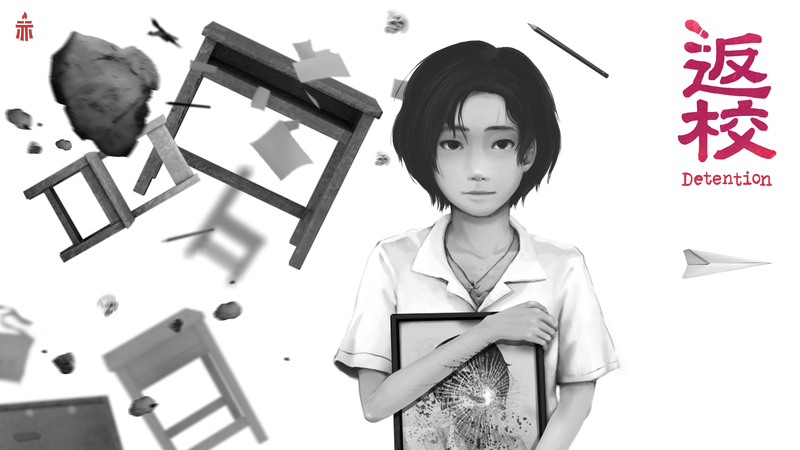 And here you go, this is all the errors and effort we did for the localization of Detention. Before developing the game, neither of us knew that there were so many details and thoughts to attend to. Throughout this journey, one big lesson we learnt is to consider how the players will react and to always put them in the first place. Each time when we felt that something went wrong, this reminder helped us to adjust the mistake to the right direction. Later, once Detention is released, we received different kind of feedbacks from the players. Some players felt that the puzzle design is too simple and needs more thought into it. Also, native English speakers pointed out a few of the grammar errors in the text, and said that proofreading is needed. Nonetheless, we also received some positive feedback, saying that the English translation quality of the official launch version is much better than the demo version. Among all of the responses we got, there is one that touches us deeply. After playing Detention, a western player told us, “I’m glad that we don’t live in that time anymore.” This is exactly the response we look for from the player. We were happy that with Detention, the language and cultural barriers were broken, and that the message could be delivered to the players around the world. As the first title of our studio, Detention marks as a fresh start for Red Candle Games. Though there’s still room for improvement, we feel blessed that we get to showcase our work to the public. And the feedbacks we got inspire us for the future projects. In the future, we will keep striving for the best, hopefully we could bring more immersive gaming experiences to the players.